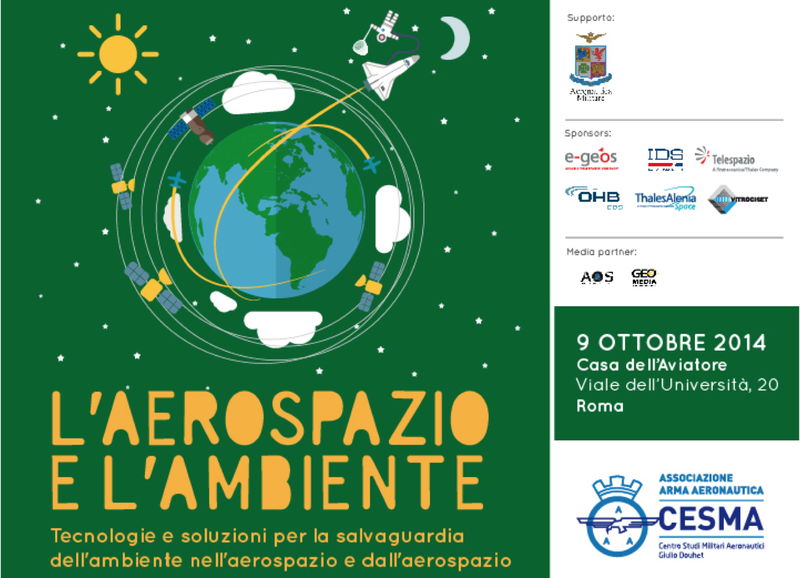 “Who produces dirt, must also clean it!” This is one of the messages launched by the Chief of Staff of the Air Force Gen Pasquale Preziosa at the opening of “The Aerospace and Environment” workshop organized by CESMA (Center for Aerospace Military Studies “Giulio Douhet”) held today in Rome at the House of the Aviator, with the support of ITAF and the sponsoring of CGS, E-GEOS, IDS, Thales Alenia Space, Telespazio and Vitrociset. Media partner GEOmedia and AOS. Two essential aspects were discussed: the pollution caused by space debris generated by the disintegration of space systems, and the opportunity offered by the same space systems for environmental protection of the planet. The speakers, starting with the impressive estimation that evaluate in more than a million the total number of debris scattered in different orbits with 145 tons of fallen debris per year, explained the actions that are being put in place at European and international level, to constitute a integrated system for the detection and monitoring of debris, focusing in particular on the contribution that Italy can bring both in terms of system architecture and technology. Some realizations based on Italian technology, properly funded, could give the country a leadership role in this sector. No less fascinating, the second part of the conference discussed in detail the various options for environmental monitoring including even those that are effective for the detection of illegal deposits of pollutants in the so called “land of fires”. 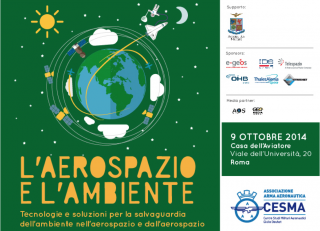 Once again, the CESMA, with its initiatives, has hit the target by providing a table of comparison between the military world, the world of science and industry on one of the most important issues facing the planet and, in particular, Italy, thus contributing to the realization of the synergies that are commonly considered as a must, but unfortunately some time are forbidden.